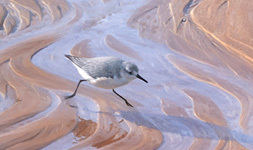 Due to popular demand I have published a limited edition print of the cover painting for the newly released ‘Robins & Chats’ book (Bloomsbury 2015). 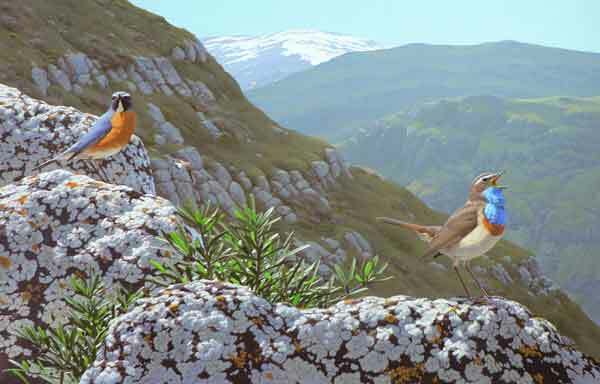 The painting depicts a Bluethroat, a White-throated robin and a Northern wheatear; three species that occur together only in the Caucasus and this painting shows them in the mountain landscapes of Armenia. 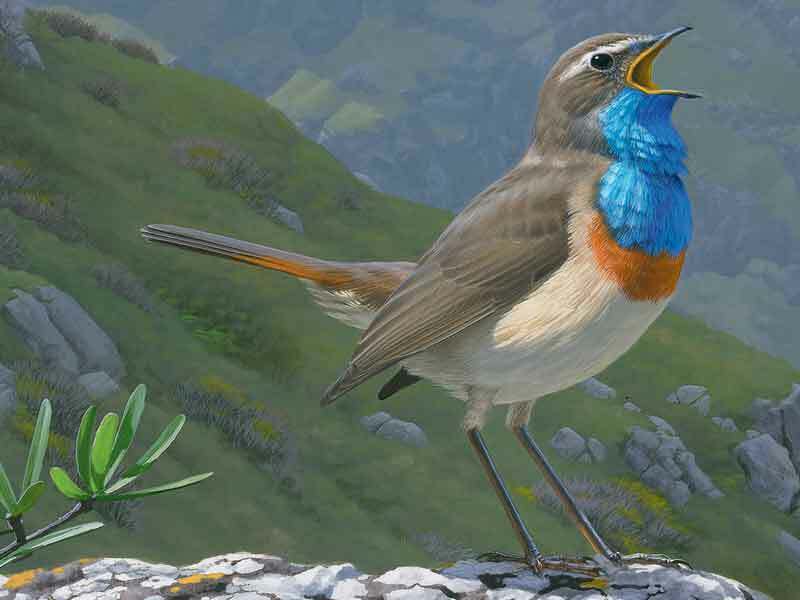 The Bluethroat that is found in this region is of the race magna, which has no white or red spot in the centre of the blue throat.